Make every meeting matter with ITA. No matter the size or type of facility – from the desks, to the boardrooms, to the auditoriums – technology is now woven into every aspect of our professional spaces. ITA can help you use audio visual technology to transform the ways the people in your facilities work together and communicate. Our on-site experts make sure the sound never stops. 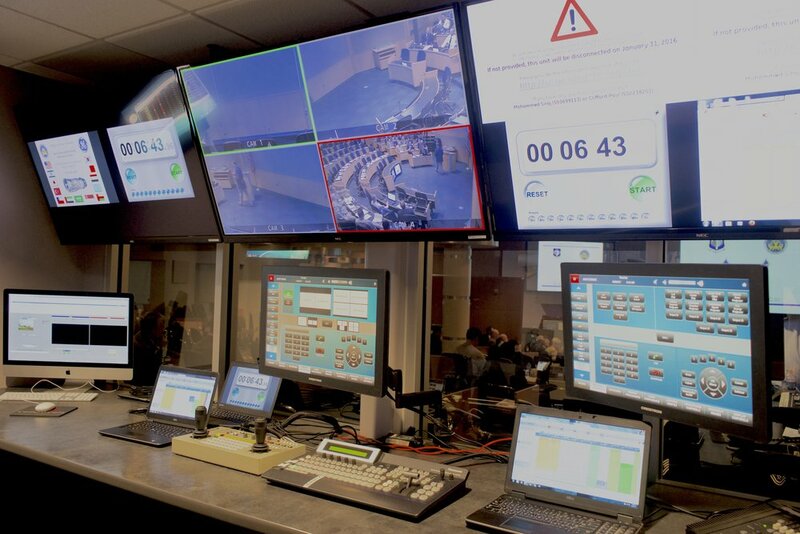 ITA’s Facility Management provides facilities a team of on-site, trained professional technicians who ensure your audio visual technology is always working, so you can always operate at your best. We become intimately familiar with your systems and the best ways to utilize them, becoming your experts on what does and doesn’t work, why, and what’s your best solution or alternative. We’ll be your AV MVP. As an embedded AV partner, ITA becomes a committed member of your team. We will be there before your meeting starts, testing everything in the room. We’ll be there to help you connect and get started. We’ll be there when something doesn’t work right. When you want to brainstorm or try something cool. Our goal is to facilitate the collaboration that inspires the work you need to do.